Follow the trail to the ancient tombs! Revel in the wonders of the pyramids, temples, and treasures of Ancient Egypt in this 64-page adventure! Learn about excavation and mummification alongside great explorers, Egyptologists, and treasure hunters who paved the way for discoveries about this historic civilization. 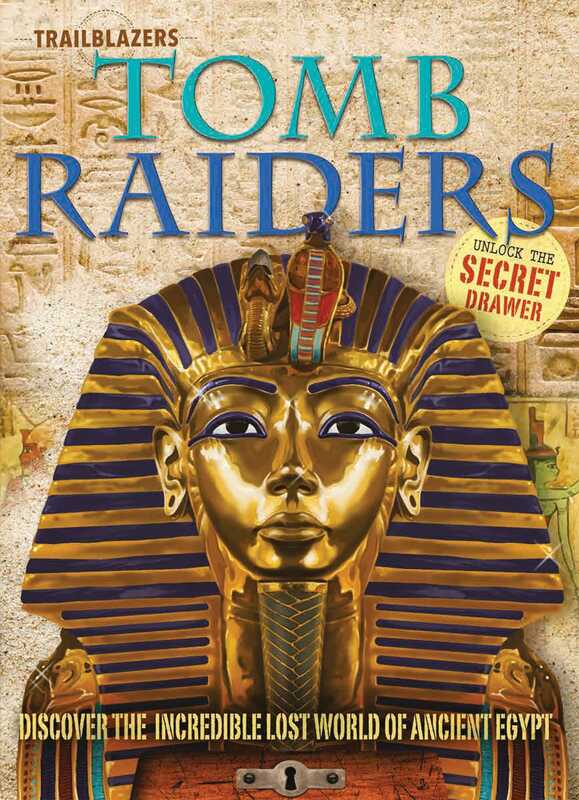 As young adventurers read about pharaohs, gods, and goddesses, they can hunt for a hidden button in the book to open a secret drawer! What's inside? That's for the tomb raider to find!